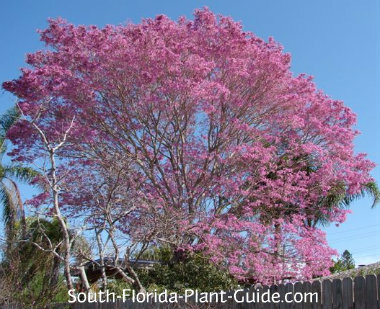 The showy tabebuia tree announces springtime in South Florida, with varieties that flower in pink, lavender-pink, and golden yellow. 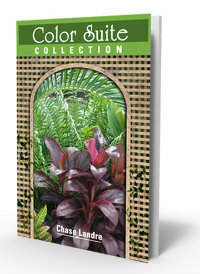 The four most commonly planted tabebuias are outstanding trees for adding color and beauty to home landscapes. These highly ornamental trees grow between 20 and 30 feet and make great single specimen trees for medium-sized yards as well as pretty accents in larger properties. Not overly large, a tabebuia planted near a deck or patio can create welcome summertime shade for these outdoor areas. Each tabebuia tree has its own special qualities, differing in flower color, growth speed, bark, cold tolerance, and leaf color. All are deciduous - losing their leaves in winter - though during warmer winters they may shed leaves later in the season just before flowering. Tabebuias prefer a sunny location. They develop seed pods but these won't create a nuisance by littering the ground and sprouting everywhere. 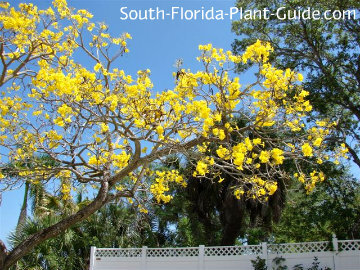 Tabebuia ipe is usually just called "Ipe" (rhymes with "hippie") and grows at a slow to moderate pace to 20 to 25 feet. It's moderately cold tolerant, doing best in Zone 10 and warmer areas of Zone 9B. The ipe tree has a smooth gray trunk and produces lavish pinkish-purple blooms in early spring. 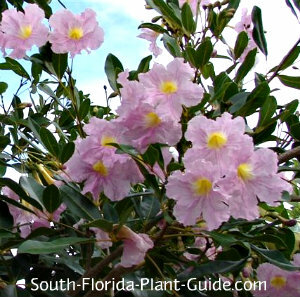 Pink Trumpet Tree is a moderate grower to 25 to 30 feet, with a smooth gray trunk. It prefers the warmer temps of Zone 10 and is covered with a heavy spring bloom of pink trumpet-shaped flowers with occasional summertime blossoms. Silver Trumpet Tree is moderate to fast, reaching 20 to 30 feet. This tree has an attractive, irregular growth habit often with an interestingly crooked trunk. The gray bark is cork-like, and the tree's silvery leaves are set off by yellow spring flowers that can appear occasionally throughout the year as well. Zone 10 is best for this tabebuia. 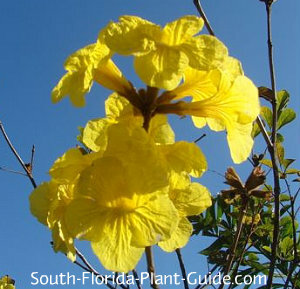 The Gold Tree, sometimes called Golden Trumpet Tree, is a fast grower to 30 feet. This tree is cold hardy, fine in Zone 9B, with brown bark and clusters of bright yellow-gold flowers in spring. Add top soil (or organic peat moss) to the hole when you plant. You may also want to add in composted cow manure to enrich the soil around the tree's roots. Trimming isn't necessary unless you need to remove any too-low branches. Tabebuias can be somewhat drought-tolerant once established, but they do best with a regular irrigation schedule allowing time between waterings for the soil to dry out a bit. 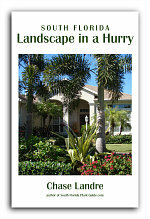 Fertilize 3 times a year (in spring, summer and autumn) with a quality granular fertilizer. Plant 15 feet from the house. Come in from walks and drives 8 to 10 feet (or more). If you're planting tabebuias in a row, space them at least 10 to 12 feet apart. You can grow this tree in a large container while it's young. COMPANION PLANT SUGGESTIONS: Underplant with things that can handle sun in winter and shade in summer, such as variegated arboricola, pentas, dwarf podocarpus, liriope, purple queen, Xanadu philodendron and foxtail fern.